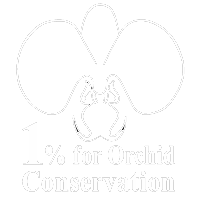 Become a Member of Naples Orchid Society! Annual membership dues are $40 for an individual membership or $50 for a family membership. Click Here to register as a new member online. Click Here to download a membership registration form that you can print, complete and mail to the Naples Orchid Society. An NOS welcome packet, which contains a Welcome Letter from our President, an article about our scholarship and intern programs, an application to the AOS (American Orchid Society), a brief history of the NOS, culture information on many of the commonly grown genera in our area, and instructions on how to participate in the plant tables, and a directory of our Annual Orchid Show sponsors for the current year. Membership card which allows free admission to Naples Botanical Garden during our Annual Orchid Show weekend in February. Meeting & mixing with many friendly and helpful orchid “neighbors” – amateurs, advanced and commercial growers willing to share information. Air-conditioned, spacious and conveniently located meeting hall with ample parking. Access to Orchid Wiz during the meeting to identify orchids. 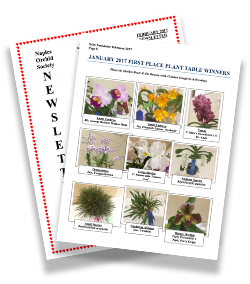 This is especially helpful for plant table entries and Show Entries. Ribbon judging (except December) – display your blooming plants and win first, second or third place ribbons for each category judged. Year-end trophies are awarded to the top point winners (points are awarded for each ribbon won). Hosts and hostesses are available to help you learn about us at each meeting; to introduce you to fellow members; to teach how you can participate in the plant table voting process; and to answer any questions you may have. Digital Monthly Newsletter with printable version full of great information. Website with members only accessible pages, such as our Member Roster. An annual AOS judged orchid show. December pot-luck dinner – a chance to relax and enjoy the company of friendly members while partaking of our delicious food (orchidists can cook too)! A 6-week long Culture Class is provided each January, and registration is $60 for members and $90 for non members. The instructors are fellow members of the NOS. For more information and to apply for the Culture Class, click here. Class size is limited.